See scan - perfect condition. This is an extremely rare badge / pin from the Olympic Torch realy held in Bulgaria during the Soviet Russian, Moscow 1980 summer Olympic Games. The piece was issued by the Bulgarian NOC and given to participating officials. The badge is dark red in color and has the text PRESS below the Olympics symbols. 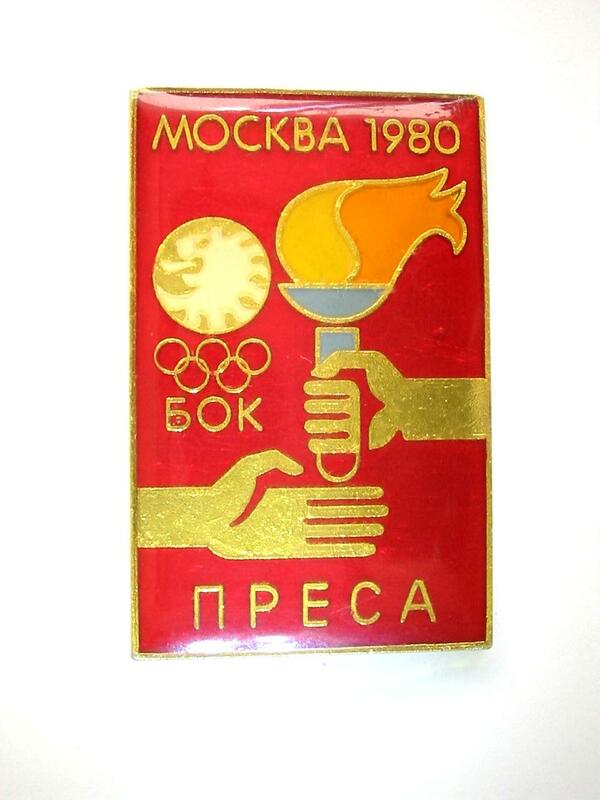 Nice sports and olympic memorabilia collector piece and one of the rare Bulgarian and Russian related Olympic badges and pins.